They’re back! Will Smith has shared our first official look at Bad Boys for Life. After years of discussions, false starts, various filmmakers and all sorts of speed bumps, production finally kicked off on the long-awaited and now highly-anticipated sequel earlier this month. Smith has finally reunited with Martin Lawrence after nearly 16 years apart. Now, we have the first official photo from the movie, which is sure to make fans of the franchise quite happy. Will Smith shared the image on his Instagram account, using the platform’s Boomerang featured to turn it into a gif with some background tunes. 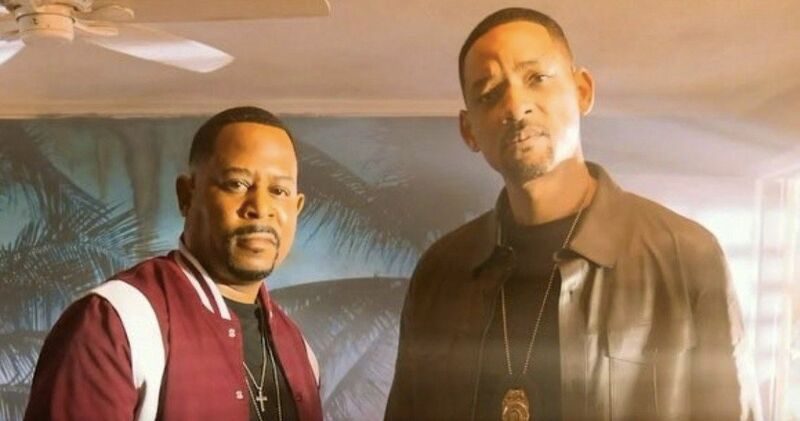 We see Martin Lawrence as Marcus Burnett standing next to his old partner Mike Lawrey, once again played by Smith who hardly looks like he’s aged a day since the last time the two shared the screen with one another. They’re simply standing in a living room, but just seeing them together again is exciting enough. To add to the vibe, the image is set to the tune of P. Diddy’s Bad Boy for Life, which is basically the title of the movie. Not only that, but fans of Bad Boys 2 will almost certainly recall the song from the soundtrack from Nelly, Diddy and the since-forgotten Murphy Lee, Shake Ya Tailfeather. One can only hope they can convince Diddy to once again cook up something fun for this soundtrack. While we had seen some unofficial leaked set photos online before, this is our first certified look at Bad Boys 3 and, for many, it helps provide some assurance that this movie is indeed, finally, truly happening. After being stuck in development hell for so many years, it was a little tough to believe. Michael Bay helmed the first two installments of the franchise and, unfortunately, he’s too busy with 6 Underground for Netflix, so he’s not back this time around. Actually, as of now, he’s not even listed as a producer. Instead, it’s up-and-coming duo Adil El Arbi and Bilall Fallah sharing directing duties after several filmmakers had spent time developing the project with Sony over the years. Bay’s first two installments were a slightly mixed bag. The first movie was a major hit, grossing $141 million worldwide, working from a $19 million budget. While Bad Boys 2 is celebrated for its Bayhem and made $273 million, it cost much more to make at $130 million. The script has been worked on by several writers during its development, including Chris Bremner, David Guggenheim, Anthony Tambakis and Joe Carnahan. The cast includes Vanessa Hudgens, Alexander Ludwig, Charles Melton, Jacob Scipio, DJ Khaled and Paula Nunez, with Joe Pantoliano returning as Captain Howard. There is no word currently as to whether or not Gabrielle Union will show up, as she’s currently attached to star in a Bad Boys TV series alongside Jessica Alba. Bad Boys for Life is currently set to hit theaters on January 17, 2020. Be sure to check out the photo from Will Smith’s Instagram below. Toys R Us Planning Surprise Return After Bankruptcy Auction Gets Canceled?